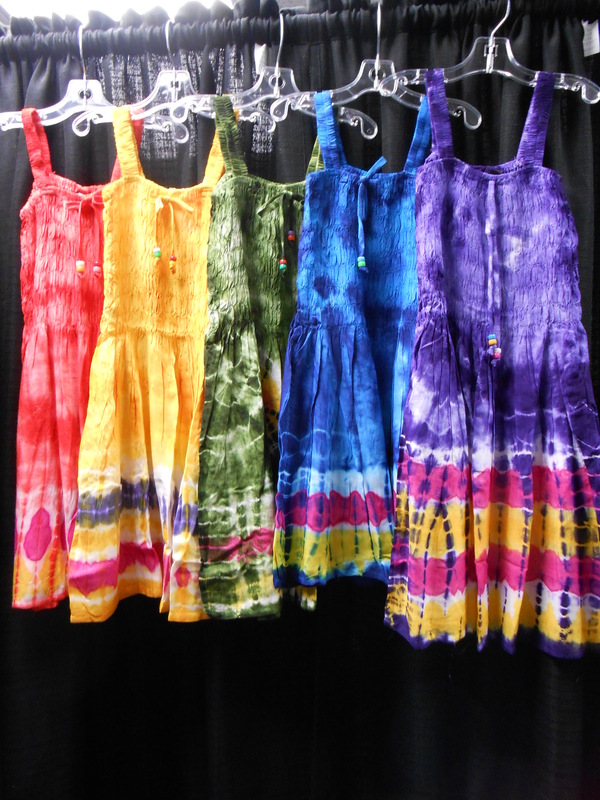 These light-weight sundresses are as cool as they are cute. They run long so this season's maxi dress is the perfect knee length next season. They come in 5 bright colors: Red, Yellow, Green, Blue and Purple. Sizes run 1-6, 8 & 10. There is also a size small for those not quite up to a size 1.